Pot Luck Thanksgiving...Pine Mountain Style! Live Oak Landing Grand Opening Celebration! MEMPHIS, Tenn. -- RVC Outdoor Destinations and Horizon RV Resorts have formed a joint venture to facilitate RVC’s ongoing expansion efforts and to improve both RVC’s and Horizon’s broader operating platforms, the companies announced today. Horizon will immediately begin assisting RVC in searching for property acquisition and joint venture opportunities, focusing especially on properties in the Western United States. “We have respected Horizon for many years and are excited to formalize a deeper relationship with them. RVC has grown exponentially since the company was created five years ago, and we are now moving beyond our initial regional footprint,” said Andy Cates, president of RVC Outdoor Destinations. In addition to working together in expanding RVC’s network of properties, RVC and Horizon will share industry information, research and best practices. Also, both companies will work together to improve purchasing power and increase marketing impact. Horizon RV Resorts will also provide RVC with additional operational capacity in its expansion, including properties sourced through the joint venture. RVC owns and operates a unique collection of upscale destination properties that include RV sites, yurts, and cabins. The company is headquartered in Memphis, Tenn.
For more information, visit www.rvcoutdoors.com. Horizon RV Resorts is a third-party RV park management, consulting, acquisitions and development group exclusively serving the outdoor hospitality industry. Their corporate offices are in Westlake Village, Calif., and Greenwood Village, Colo.
For more information, visit http://www.horizonrvresorts.com/. Whether you've stayed with us or not we'd love to hear what you think! As we are always trying to improve and create the perfect place for you and your family, we have created a survey to help us share our Outdoor Destinations. The survey is designed to give us more insight into how we can serve you better. 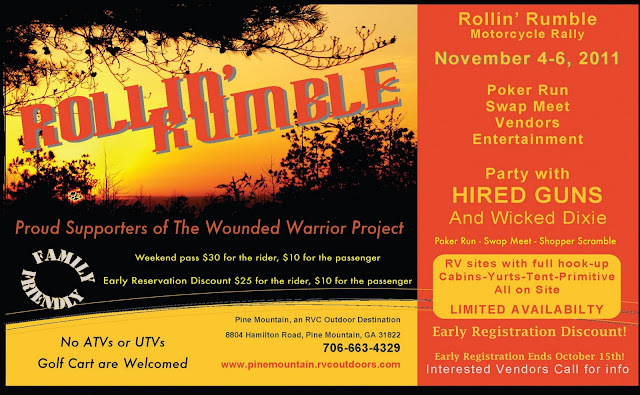 Every year, Pine Mountain, an RVC Outdoor Destination looks forward to hosting our annual Thanksgiving dinner. Come with a hungry belly to fill up with all kinds of delicious traditional food...without having to do the hard work of cooking! Along with the feast, we've planned other special events for you to bond with friends (old & new) and family. 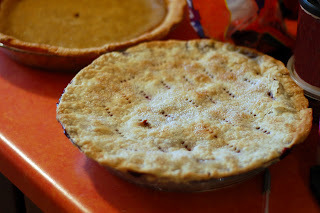 When: Thanksgiving Day - November 24, 2011 at 2:00 p.m.
What to Bring: Your favorite entree, side dish or dessert to share! Other Fun Stuff: Santa will be making his first appearance in "Santa's Workshop" (our lodge) at 4:00 p.m. to take pictures with children (parents must bring their own cameras). Additional Details: The turkey (1 smoked, 1 baked and 1 deep fried) and dressing will be provided. Guests must register at the front desk. The office closes at 5 PM. This event is for Pine Mountain's guests only. If you haven't made your RV site or cabin reservations yet, do it NOW! 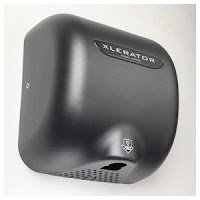 This is very popular and fills up quick. Bring on the holiday joy! Call Pine Mountain, an RVC Outdoor Destination, for more info & to book: 706-663-4329. Calling all Motorcycle Enthusiasts...you don't want to miss this event! We want to see you at this FUN event this weekend (Nov. 4-6) in Pine Mountain, Georgia! Rollin’ Rumble will be a motorcycle rally with more than 35 vendors setting up displays and giving out information and prizes. Dealers such as Harley Davidson, Honda and Suzuki will be holding a raffle for prizes. There will also be involvement from military recruiters, including a large display from the National Infantry Museum of Columbus, GA.
PLUS a poker run, swap meet, shopping booths, food, and a band playing Friday and Saturday night for guests to enjoy. Partial proceeds raised at this event will go to the Wounded Warrior Project, a nonprofit organization with the mission of “honoring and empowering wounded warriors.” For more information on WWP, visit woundedwarriorproject.org. Tickets can be purchased at the gate. 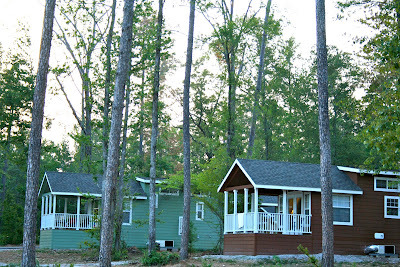 Visit www.pinemountain.rvcoutdoors.com for more information! 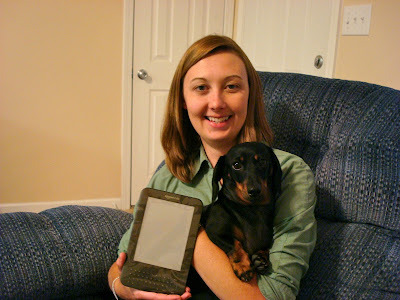 Congratulations to the Walkers our Like Us and Win Facebook Contest Winners! 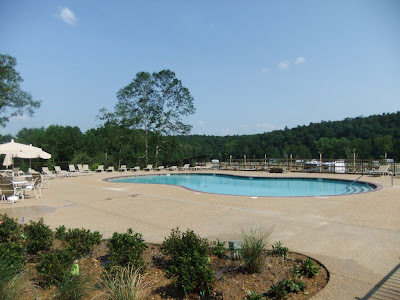 We welcome you to our new property, Catherine's Landing in Hot Springs, Arkansas! At the beginning of each month, a random name will be chosen from the likes section of the Facebook page. After the person has been chosen we will give them a free weekend getaway. Thank you so much to the Walkers we loved having you! 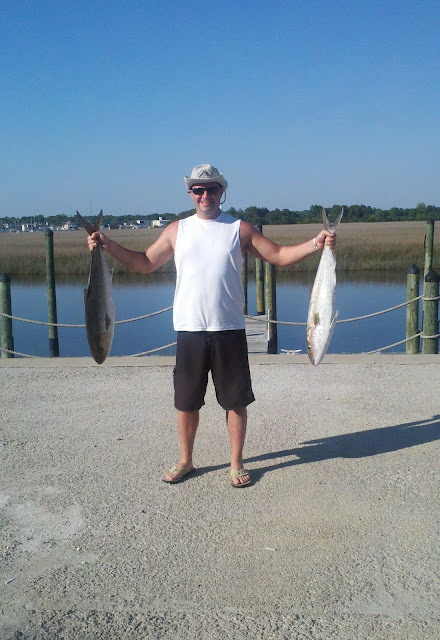 Live Oak Landing Offers Guided Fishing Tours with Wounded Warrior Charter Fishing! Guests to Live Oak Landing, an RVC Outdoor Destination in Walton County, Florida, can go on a guided fishing trip and explore the Choctawhatchee River system and Emerald Coast with local expert - Captain Mark McDuffie. Click to read about this new offering, then visit Live Oak Landing's website to book your reservations and start the adventure! 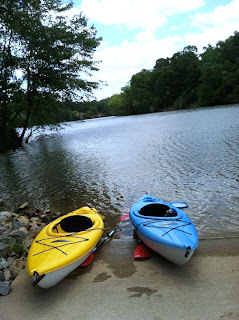 Catherine's Landing Welcomes Manager and New Activities! Welcome to the RVC team, Brad Boler! Brad is the general manager of Catherine's Landing, RVC Outdoor Destinations' newest resort in Hot Springs, Arkansas. 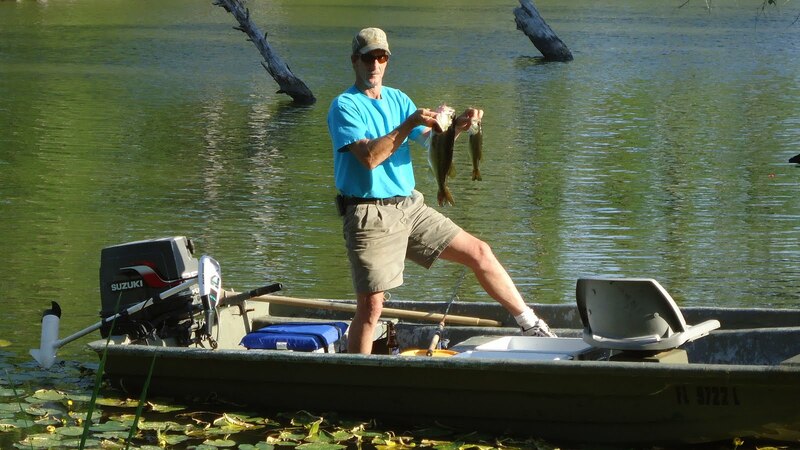 Brad Boler joined the RVC team in June after managing an RV resort in northern Minnesota. Brad has spent several years in the resort industry working with his father Bob Boler, who founded Leisure Resorts of America. Leisure Resorts of America provides third party management and consulting for the RV resort industry for clients nationwide. Prior to getting involved in this industry, Brad spent several years living and studying in Germany as an exchange student. He is a graduate from the University of Oregon who has a passion for golf, traveling and the outdoors, naturally. 21' pontoon boat for rent! Cruise around, fish or go tubing with the inner tube that's included with the boat...summer's not over yet! TWO grills in the pavilion. Being outdoors is all about cooking out! Pool aerobics class - this has been a favorite for all ages. Beat the heat and get your day started right with a little exercise. Golf cart rentals - get around the property quicker and easier! Bean bag toss and ladder golf - in a new activity area with picnic tables! Located next to the large pavilion so ice and drinks are close. We offer discounted tickets to Arkansas' best water and theme park - Magic Springs and Crystal Falls! Just ask the front desk. Like we said, summer is far from over! 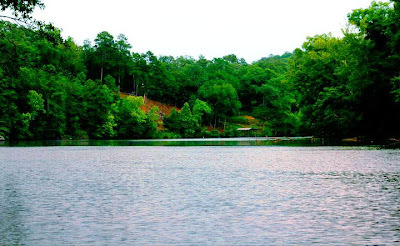 It's your chance to gather the family for a vacation before school starts and beat the heat on Lake Catherine. Click here to make your reservations! 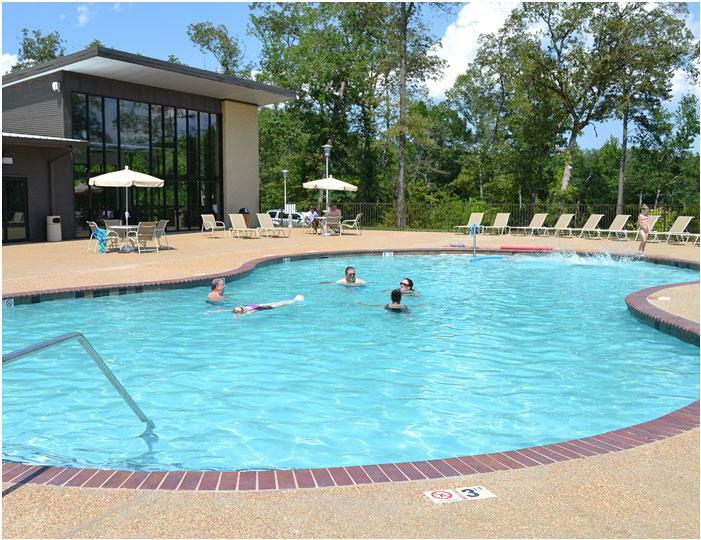 "RV Destination: They Take Paradise and Put up a Parking Pad"
Catherine's Landing was featured in an article in the Sunday edition of the Memphis Commercial Appeal. Read it here! Photo Catch of the Day comes from Andrew at Carrabelle Boat Club in Carrabelle, Florida. 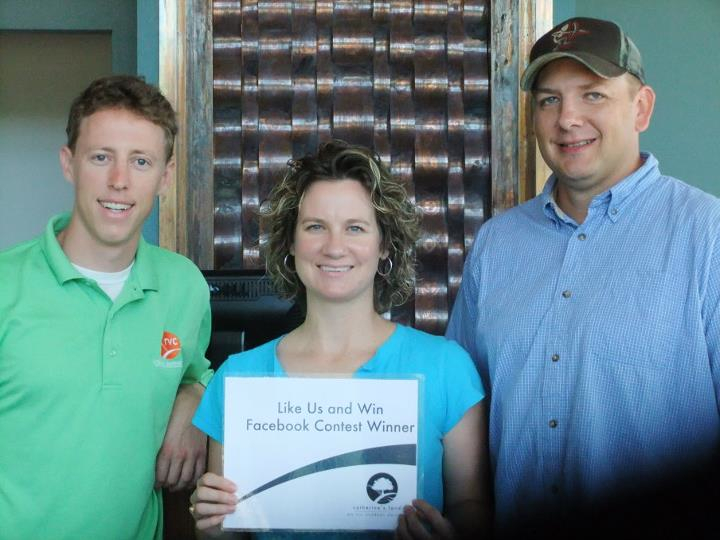 Become a fan of Live Oak Landing on Facebook and follow us on Twitter! 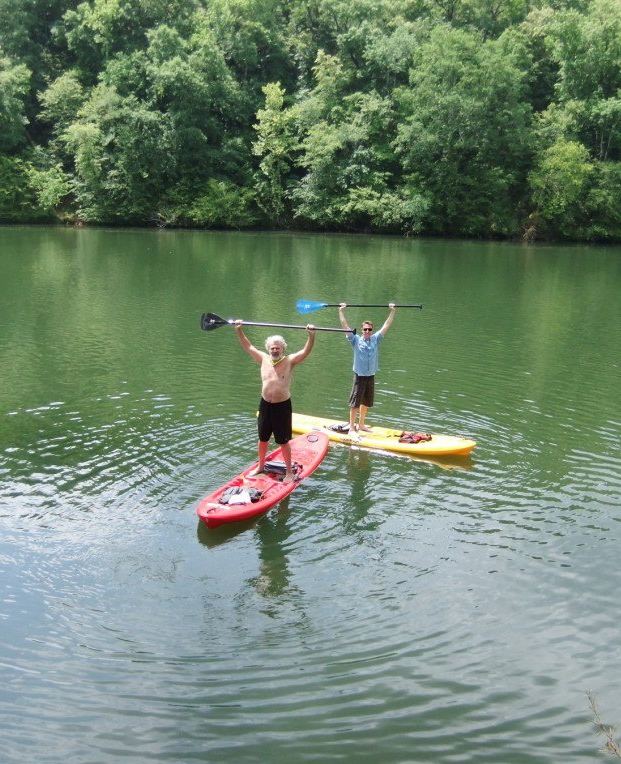 "It was very tough to get your balance on a standup paddle board, but somehow I survived without taking a dip!" Father’s Day is coming up on June 19th. 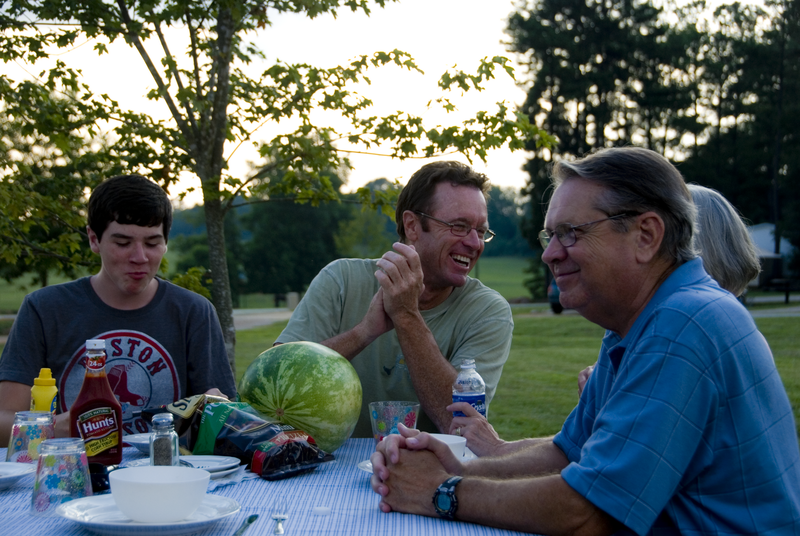 You'll notice the Father's Day themed potluck event here at Pine Mountain. Sunday, we’ll be gathering everyone with food and gifts thanking father's for being dragged along to all those after school events and sponsoring your oboe lessons. 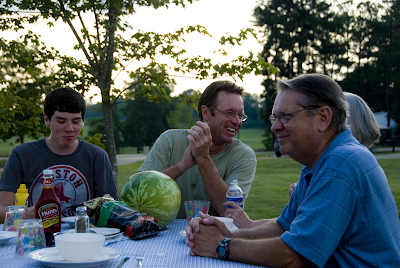 Bring your dish and include it in the wide variety of food sure to please all dads. RVC is very proud of our Georgia property, Pine Mountain, an RVC Outdoor Destination, for their charitable work in a fundraiser for victims of the April storms in Alabama. 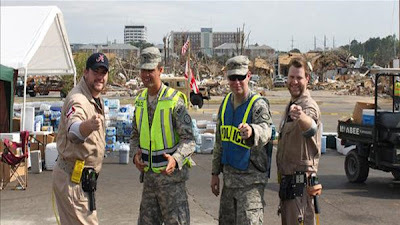 If you didn't hear about these, many states in the South had damaging storms and record breaking tornadoes, leaving many people without shelter, food and basic necessities. Pine Mountain raised approximately $1227.00 in this disaster relief fundraiser for the storm victims of Eclectic, Alabama (just a couple hours from Pine Mountain, GA). 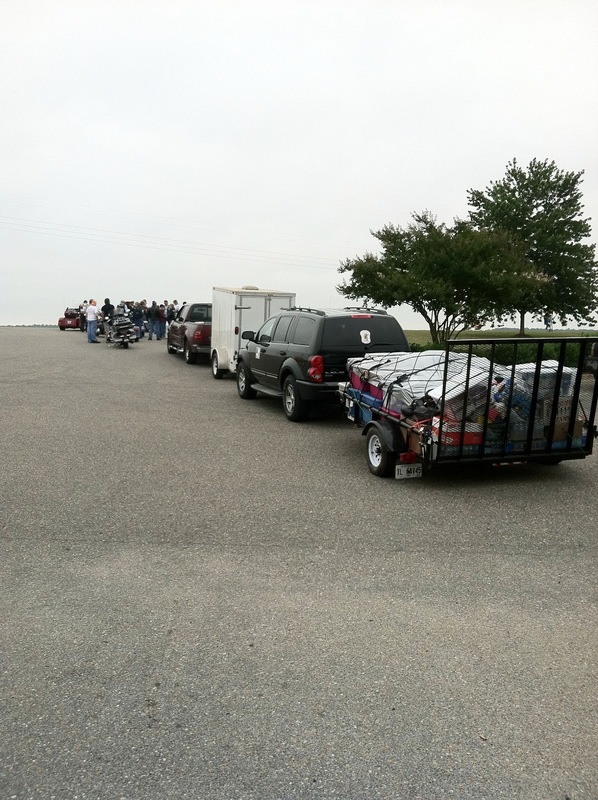 They also filled three trailers and multiple trucks of donated every-day use items and food to be given to victims. Pine Mountain worked with Heaven’s Saints Motorcycle Ministry (HSMM), a national Christian motorcycle organization, who raised an additional $2570.00 in cash donations from Calvary Tabernacle Assembly in Smiths Station, Alabama, Blue Knights International Law Enforcement Motorcycle Club, and HSMM family and friends. 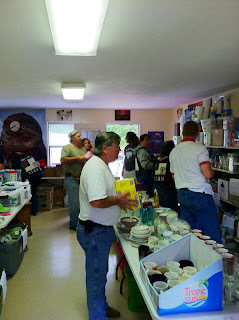 The donations were driven to Eclectic, Alabama for two days, starting on May 19 with HSMM. Jim Anderson, General Manager of Pine Mountain, an RVC Outdoor Destination, said the monetary donations are still trickling in and they are continuing to send these. 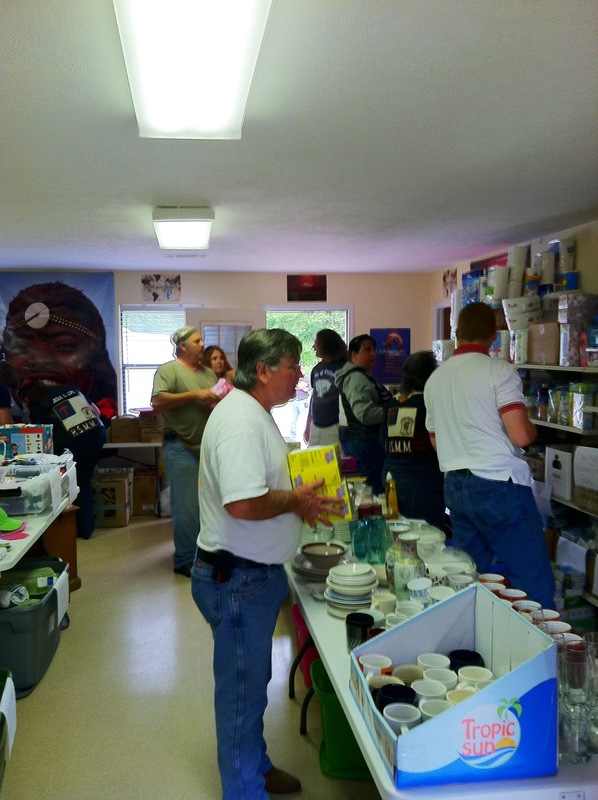 All donations were given to Agape Assembly of God church, located in Eclectic. The church administration is using the money to purchase furniture and pay for hotel rooms for people who lost their homes from the damaging April tornadoes, as well as distributing the item donations to people through an on-site store and via deliveries. The church is helping in the recovery process particularly for Myers Country Estate, a trailer park that was destroyed by a tornado. 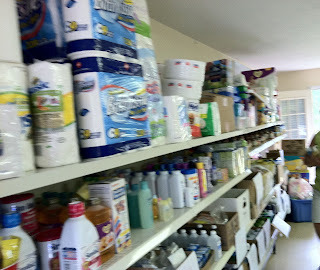 “With the help of our home church (Agape Assembly) and the assistance of its pastor, Joe Creamer, we have been able to coordinate deliveries, set-up a store, and arrange distribution of all donations through the use of this facility. Community volunteers have worked tirelessly since May 21 alongside (HSMM) chapter members, making an array of phone calls - from contacting victims to coordinating donation deliveries - and stocking shelves, packaging and arranging items for delivery to families, and continually meeting the needs of the people,” said Denise Grier, HSMM representative and church member/fundraising coordinator. Lamar Richardson, HSMM President and Alabama state representative. Our photo of the day comes from Patricia at Live Oak Landing in Freeport, Florida. "Fishing in the Black Creek, Skipper shows off his catch of the day. He was so happy." RVC Outdoor Destinations has formed a strategic alliance with Pilot Flying J, the largest retail operator of travel centers in North America. Through this relationship, RVC will give guests a complimentary membership to Pilot Flying J’s reward program for RV drivers. “We wanted to partner with Pilot Flying J not only because they are a top-rated company, but also because we feel the pain of the rising gas prices, especially for RV travelers,” said Yale Spina, RVC Vice President and Director of Operations. In regards to these high fuel prices, RVC is giving each and every guest an exclusive membership that includes a Pilot Flying J frequent fueler advantage card and RV travel guide in an effort to keep RVers on the open road. With the frequent fueler card, RV patrons will receive many benefits, including discounts on gasoline, diesel, propane fuel and dumping fees at any participating Pilot Flying J location. The cards have no expiration date. The travel guide that guests will also receive shows the location of every travel center that accepts the membership discount along with other useful information, such as if the locations have restaurants, RV parking, RV dumping and bulk propane. The locations and contact information are listed for every state. For more information on Pilot Flying J, visit www.pilottravelcenters.com. For more information about the Frequent Fueler Advantage Program, click here. Mark your calendars - You’re invited to Live Oak Landing's grand opening celebration, Thursday, June 9! Come enjoy the live music, yummy catered food and refreshments, and private tours of the property – including the custom-built RVC Resort Cottages! The event is open to the public, so bring your family and friends! We’ll be doing a ceremonial ribbon cutting ceremony, too! • Directions: Live Oak Landing resides on the north side of the Choctawhatchee Bay, just east of the Hwy 331 bridge and up Black Creek. 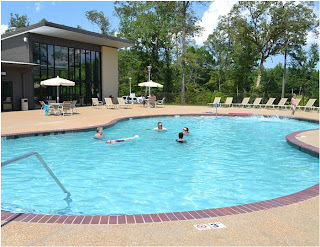 *Live Oak Landing is the only overnight accommodation in the entire city of Freeport, and it also happens to be a resort. *Live Oak Landing gives guest some of the best fishing in the state; having river, bay, gulf and creek fishing. 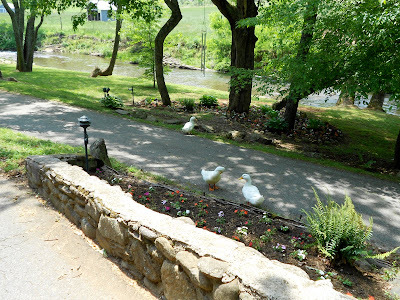 Our photo of the day comes from Alicia at Mountain Springs Cabins in Asheville, N.C.
"Mountain Springs' resident, Pekin Ducks are out for their daily shenanigans; trying to get the bugs from the garden bed and greeting our guests." "Skippers catch of the day, he was so happy." Urgent! Pine Mountain Hosting Disaster Relief Program!! RVC's Georgia property - Pine Mountain - is assisting the victims of the recent tornado damage in Alabama by asking guests and outsiders to donate. In return, Pine Mountain is giving all donators a 20 percent discount at their property. 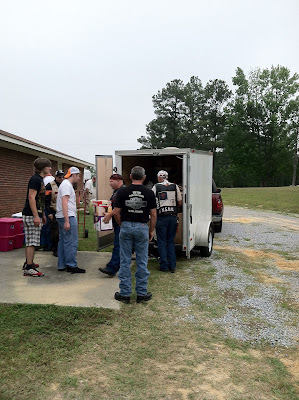 The program is a joint effort between Pine Mountain and Heaven’s Saints Motorcycle Ministry, a motorcycle club with multiple chapters across the nation. “We were lucky to not receive harsh damage and our hearts go out to those who did,” said General Manager Jim Anderson. “We want to help the surrounding areas as much as we can,” he added. Pine Mountain is asking people to donate items or cash/check donations made out to Pine Mountain RVC, which will one hundred percent go to people in need. 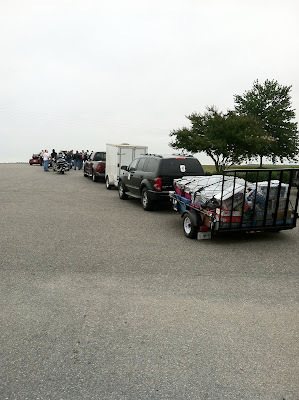 All items and donations must be received no later than May 18, in order for trucks to be organized and loaded. 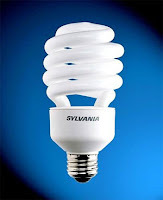 These can be shipped, brought directly to Pine Mountain, or made over the phone. The majority of the donations will go to the city of Eclectic, Alabama, which is two hours away from Pine Mountain. The storm marked the worst tornado outbreak since 1974 and unfortunately Alabama was one of the states to be hit the hardest. People and current guests donating to victims through Pine Mountain will receive a 20 percent discount on their stay or be mailed a voucher for future use. Please call Pine Mountain at (706) 663-4329 to make donations by phone or request more information. Pine Mountain, an RVC Outdoor Destination is located one hour south of Atlanta at 8804 Hamilton Road in Pine Mountain, GA, 38122. For more information, visit www.pinemountain.rvcoutdoors.com. Thank YOU for your help and prayers to all of the people affected! RVC Outdoor Destinations Officially OnStar and NaviPro Compatible! RVC Outdoor Destinations has signed up all five of their properties to become searchable with OnStar and NaviPro, two popular GPS/POI mapping systems. By doing this, guests are not only aided in directions, but potential unexpected customers can now be informed of RVC’s destinations, as a couple of guests to Live Oak Landing in Freeport, FL experienced. Another added bonus of being listed in these programs is that it does not limit RVC to one type of accommodation category. 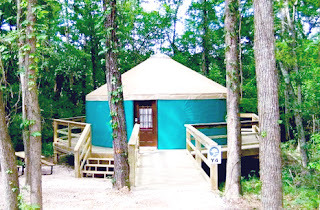 Since all of RVC’s properties feature both cottages and RV sites (and some have yurts), it is extremely important that the resorts are not misunderstood to be solely RV parks. With OnStar or NaviPro, searching for area/city specific resorts, accommodations, travel, hotels, and /or lodging will suggest an RVC Outdoor Destination.